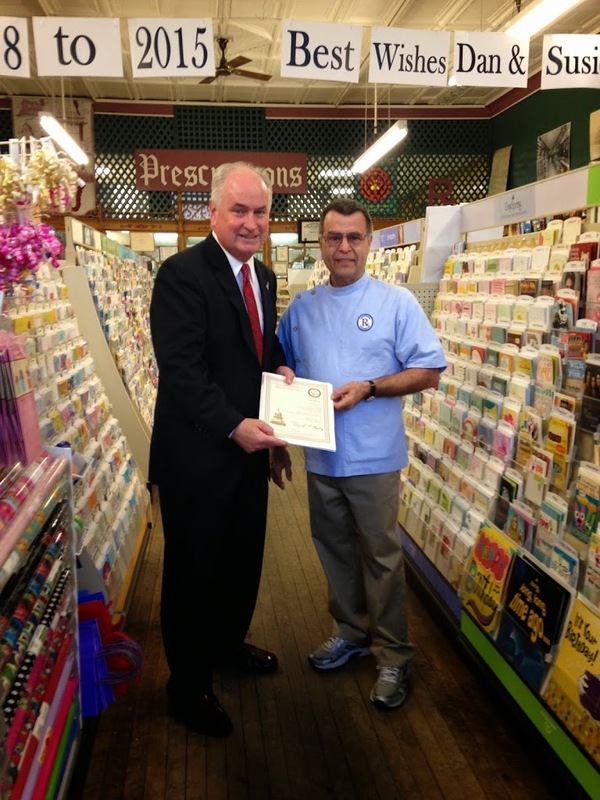 Rep. Brady visited Pharmacist Dan Boian at the Chenoa Pharmacy to wish him a happy retirement, and to present him with a certificate of gratitude for his service to families in the Chenoa community. The certificate reads: In recognition of your 37 Years of dedicated pharmaceutical service to the residents of Chenoa At Chenoa Pharmacy; with more than just medication, but with the medicine of friendship and caring. With best wishes for your health and happiness in your retirement.